WHY AMANA HEATING AND AIR CONDITIONING? Millies HVAC is a an Amana dealer. All the Amana brand heating and cooling systems are designed, engineered, and assembled in the U.S.A. Amana brand is reliable and long-lasting. Americans have been relying on premium, long-lasting Amana brand products since 1934. 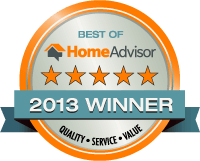 Do you need service for your Amana heating and air conditioning? Turn to Millie’s Heating and Air Conditioning for honest pricing from an experienced air conditioning company in northern Virginia. For over 25 years, our locally owned AC shop has been keeping Virginia, Maryland and Washington, DC residents cool and comfortable. With low prices and guaranteed work, Millie’s Heating and Air Conditioning is the HVAC repair shop of choice for thousands of businesses and homeowners in the greater Washington area. We service all makes and models. If you need a new Amana heating or cooling system, we can quickly install an energy efficient model that will save you thousands on your utility bills. 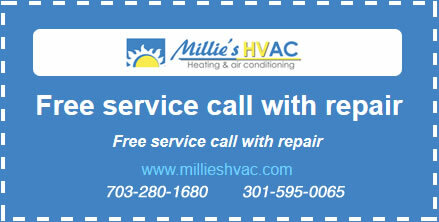 Why Millie’s Heating and Air Conditioning?